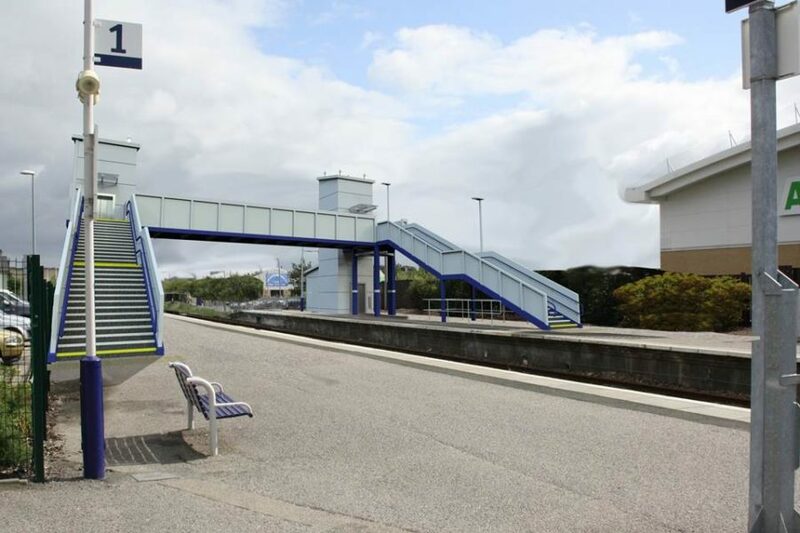 The structure is a single span steel railway overbridge with stairs and lifts to each platform. For this series of AFA projects, we integrated the cable management into the structure that allows cabling for lighting, CCTV, CIS and power to be installed from platform and deck level with no requirement for scaffold or railway access. Fairhurst were commissioned by Story Contracting as part of their CP5 RCDP framework to Network Rail. We engaged SVM Glasgow as our electrical and plant engineering designer to allow us to provide an integrated design solution for all aspects of the scheme. The concept of modular design is well tested in the railway environment to allow safe and rapid erection of structures with minimal disruption to train services. We developed an integrated cable management strategy with SVM to avoid externally attached cables, enhancing aesthetics and protection and simplifying their installation. We also developed cost effective embedded lighting that uses standard LED units with a structural detail, rather than relying on a proprietary solution giving the client a significant saving. Fairhurst drafted the Option Selection Report and developed options in liaison with stakeholders including Network Rail, Story Contracting and SVM-Glasgow. We delivered design from outline through to detailed design providing forms 001, 002 and 003 and once approved, AFC ready for construction.